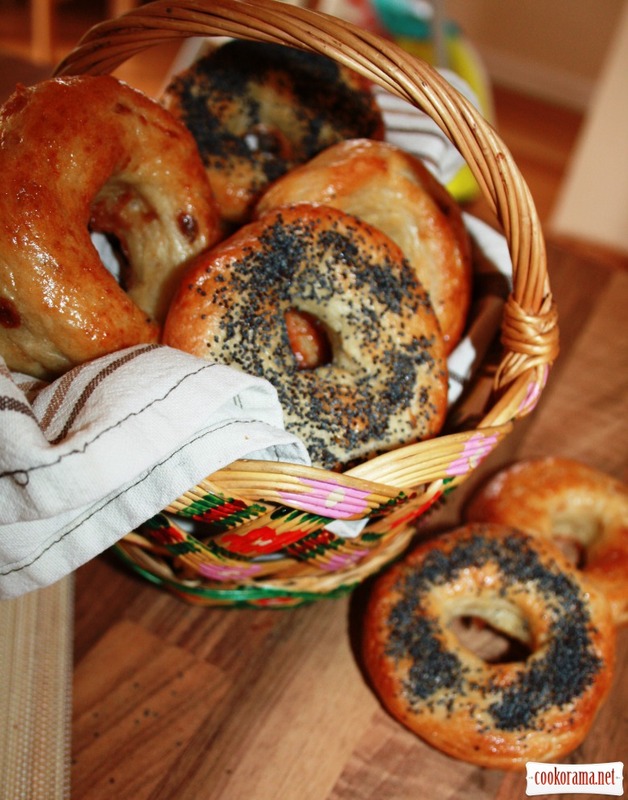 The classic recipe where bagels at first are gently boiled before baking. 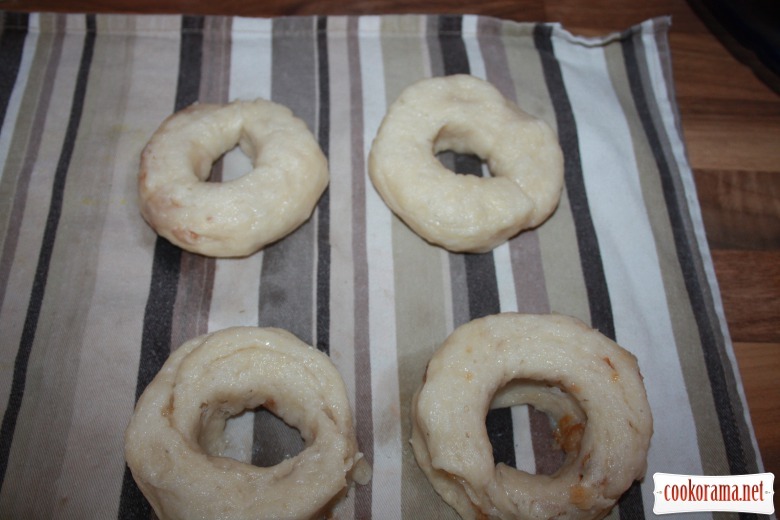 Sift flour into a bowl, add salt, sugar, yeast and warm water, knead dough and pour oil and stir once again well .At this stage I divided dough into two parts, added in one well fried onions and stirrred well. 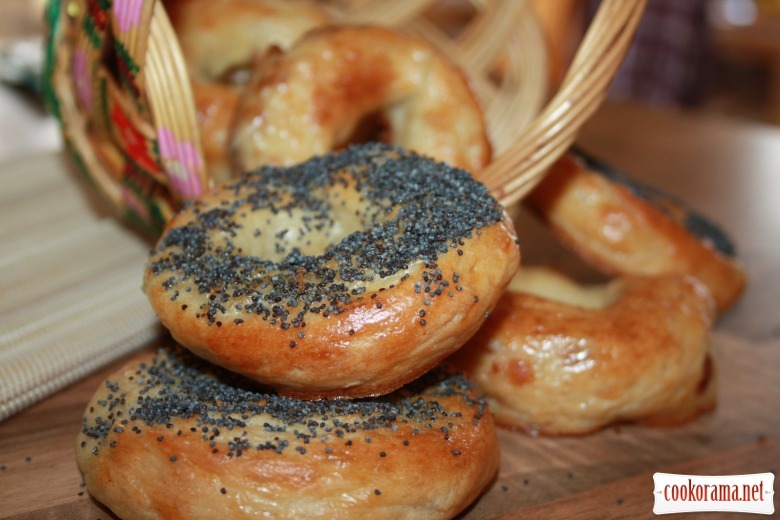 Cover dough with foil or plastic wrap and place in a warm place to «rise» twice (grease top with oil). Give them some time, to rise (about twice). Heat water in a wide pan, bring to a boil and reduce heat to “bubbling» stage. 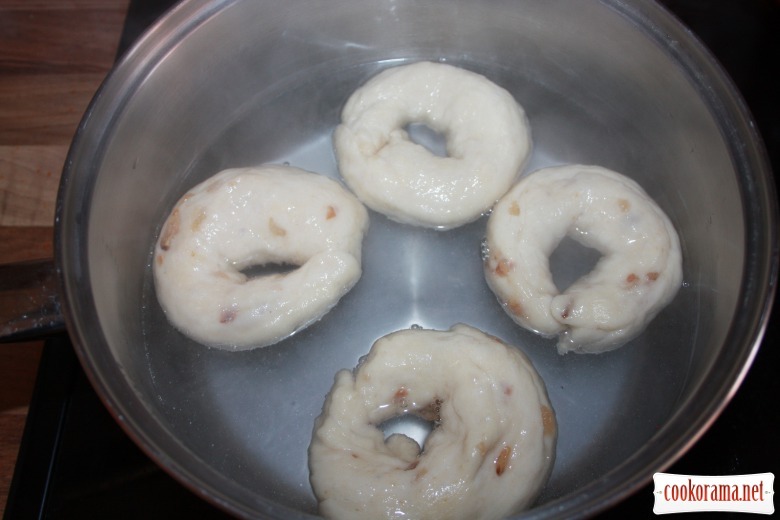 Put bagels into water, so that there is some place beteen them (in my pan I placed 4 pieces at one time) and boil for 1 minute on each side. 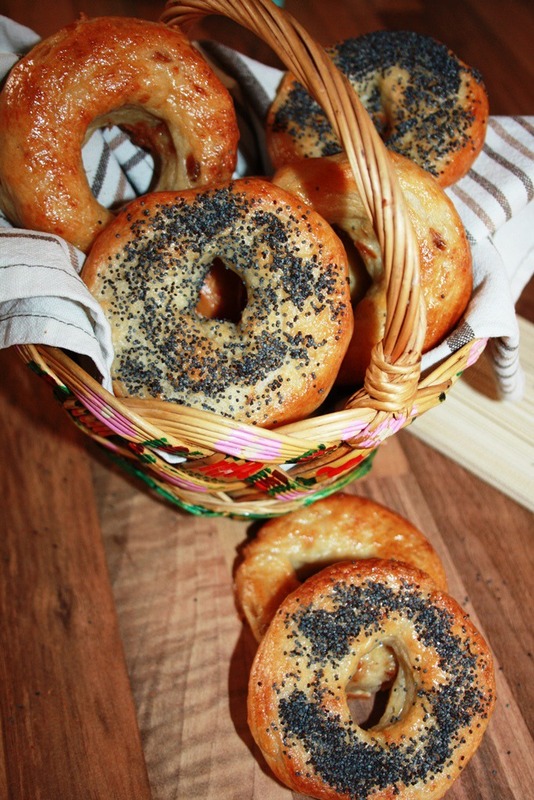 When all the bagels are «cooked», put them on greased with oil baking sheet (if bagel falls apart, then gently mold it again ), smear with mixed egg and sprinkle with poppy or any topping you wish. Bake for 15-20 min (depends on your oven) at 200℃ to uniform shiny golden brown. 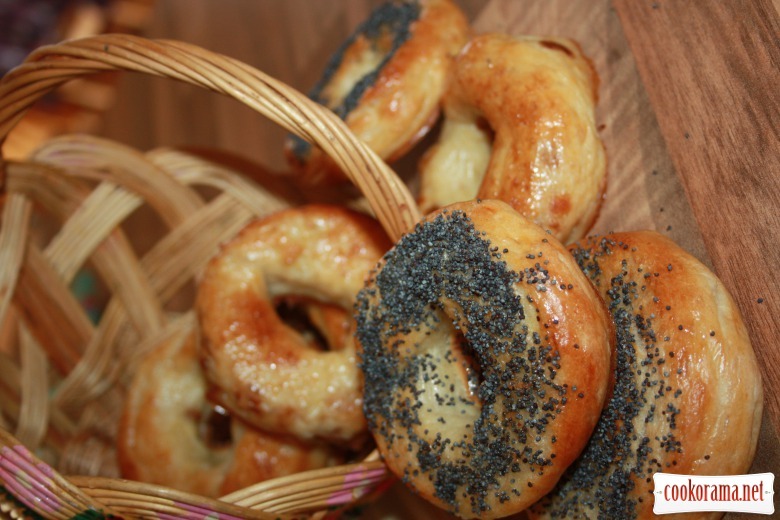 Top of recipe "Bagels classic recipe"
Дякую за рецепт, забираю в обране, приготую неодмінно! Так от як бублики готують! Дякую за рецепт. Буду готувати! Смачні вийшли бублики. І процес приготування був дуже цікавим — я вперше варила тісто перед випіканням. Солонуваті за смаком, але в поєднанні з кунжутом і корицею (в мене було 2 присипки) вийшло дуже смачно.Процес приготування виявився зовсім легким. Дуже потішила смачна та блискуча скоринка.